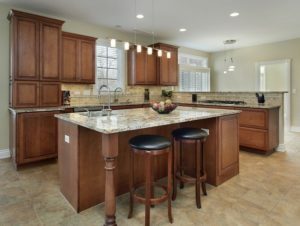 If you are planning to sell your home, it is important that it is in the best condition possible. This way, you can attract more buyers and sell your house at a higher price. Anything with damages or issues must be repaired. If your budget allows it, improve some of your home’s features, too, to update its look. Here are some home improvements you might want to consider to speed up the selling process. The driveway is the first thing that a home buyer sees during an open house. Make sure that it immediately catches their attention in a good way. If your driveway has some minor damage, consider a resurfacing job. 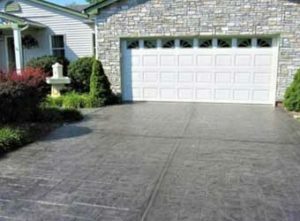 You can choose to replace the top layer with a stamped concrete overlay or a spray knockdown finish. Both look amazing and both are slip-resistant. Buyers would surely love that. 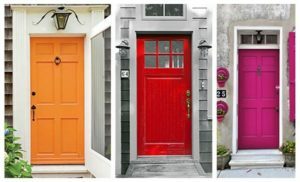 A fresh new layer of paint on the front door will help create a good first impression. Choose a color that is not similar to the colors on the rest of the house but still somewhat complementary. A cranberry color would look great with a brown house. A teal color would look amazing on a gray and white house. If you need help deciding which one works best, consult a local paint expert. If you have wooden cabinets and cupboards, you might want to re-stain them to make them look new again. Replace broken handles and make sure that all hinges are in good working condition. Oil them up if they are a bit rusty and difficult to open. The bathroom is also one of the rooms that home buyers check out really well. Make sure that it is clean and that everything works great. During an open house, you might want to put some flowers in there and some extra towels and a bit of decor just to make it look presentable. Repaint the walls, if needed, or if you have broken tiles on the floor, replace the tiles or resurface it with a tougher material, like an epoxy floor coating. Home improvements may cost you some money but if it helps to get some offers or bids at rates that are better than it would have been if the house was unkempt, then it is worth every penny.